After all of the cold, wintry weather we experienced here in the northeast before it was officially winter, we have been enjoying a stretch of milder weather during the holidays. With my windows opened wide, I can almost feel a hint of spring in the air. 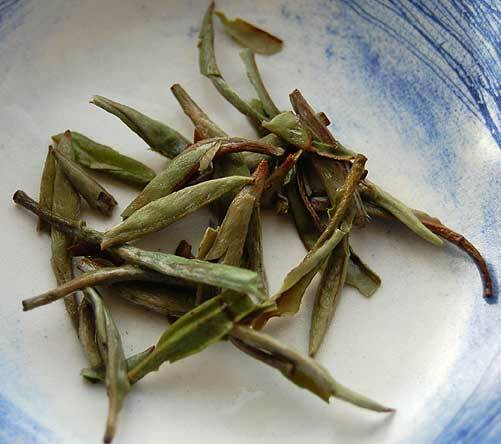 This morning I am savoring a cup of China White Paklum Tips. 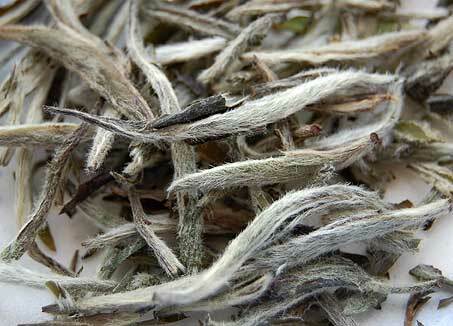 From looking at my photo above, you can see why it is called white tea, with all of the downy white hairs on the leaf. These leaves are the newest growth on the plant, gentle and fresh. In honor of the white tea, the winter and also the milder weather, I am sipping from my tea mug entitled “Snow, Spring, Earth”. I like to choose my tea mug, cup or bowl with the feeling I get from the particular kind of tea I’m going to brew. 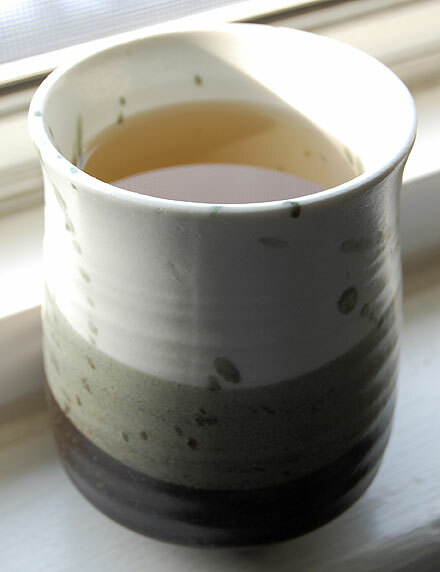 This mug is beautiful in the simplicity of its design much like white tea is beautiful in the simplicity of its processing. After the leaves and buds are plucked, they are laid out to wither and then roasted/heated to stop the natural oxidation which would occur. A big congratulations to our boys from Foxboro, MA, the New England Patriots, for finishing their season last night undefeated. Go Pats! This entry was posted in Tea, White Tea and tagged tea review. Happy New Year, Karen! I definitely felt spring today, too. It is that false lure that comes every year. Thanks Acey! Yes, the lure has officially departed because it’s snowing today. It is so pretty to watch though.